I want my dogs to be the happiest and healthiest possible and I want our puppies to go to homes who want that too! Before deciding on when & how much to vaccinate your dog, please do some research, read the materials at the links I have provided in this section and on the Links page Also, at least, consult with a Holistic Veterinarian in your area. Ultimately YOU have to decide what is best for your dog, your situation & your family. I do not vaccinate my dogs for unnecessary things just because it is what everyone else is doing. The recent dog flu "outbreak" is one such example. 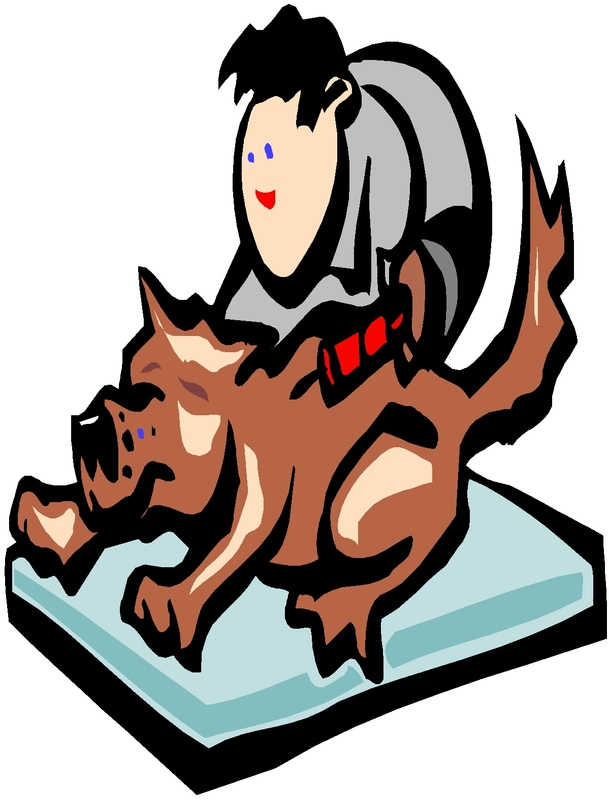 I kept my dogs home from dog sport events, dog parks and pet stores for a month or so. Soon the wave of fear passed and we continued our normal routines. If presented with an offered vaccine, I would want to know why that specific shot is given, if it is really needed, what my dog's risk level is, what benefit will that shot be to my dog and what are the possible side effects. I want my dogs to be the healthiest they possibly can be, so after years of going along with what the vet told me my dog needed, I got involved and started reading & researching vaccines. I asked questions. I find out what is best for my dogs and discuss my beliefs with my vet before vaccinating. If a vet does not respect my questions or my choices, I would then find a new vet who did. I have done just that. My original Carolina Dogs were vaccinated as puppies but after their rabies shot I have not vaccinated them any more. I currently do not vaccinate my personal dogs except for Rabies, as minimally as required by law. No puppies from our litters are vaccinated, they are totally Naturally Reared! Nature's Way Carolina Dog puppies are raised in our home, with all the noises, smells and happenings of a typical family. They are given plenty of time to play and explore the outdoors in the sunshine with the rest of the pack. They meet local livestock, are taken on car rides, visited by friends and family (and their pets). I (and other Natural Rearing breeders) believe this type of exposure helps them to be better adjusted, happier, healthier and on their way to building a superior immune system. From personal experience, research and anecdotal accounts, I believe Carolina Dogs are extremely sensitive to medications, drugs & chemicals, including vaccinations, dips, and 'routine' medications. The new AKC listing of Carolina Dogs in the FSS program lists that they may be sensitive to Ivermectin products. These sensitivities could be because after surviving in the wild for hundreds or thousands of years, their healthy bodies & immune systems could handle & fight off normal parasite loads, and infectious diseases, but the insult from the overload of abnormally introduced vaccines (ie injected rather than natural types of exposure) given by us humans confuses the already healthy immune system and it begins attacking itself & other systems, resulting in all sorts of misdiagnosed signs & symptoms! This, I believe is especially true after generation upon generation of over-vaccination. The sensitivity I have seen in CDs from all sorts of backgrounds could be for any number of other reasons, all I know is that I am hearing more and more stories about CDs having reactions to vaccination, including seizures, immune disorders, cancers and even death. Please keep in mind this thought when deciding whether to vaccinate your puppy or dog. veterinarians are faced with a challenge when dealing with acute diseases. Vaccinations may prevent these acute diseases, but if the exchange is for a lifetime of chronic disease, is that a viable option?" I cannot ethically recommend any Vaccination. Vaccines do damage on a cellular level, they change the very DNA of your dog. There is risk with every single shot, even one shot can cause a lifetime of Immune disruption and illness in your dog. Every single vaccine has a risk of severe adverse reactions. These risks compound the more vaccines(even over time) that your dog is given. The risk does not outweigh the benefit when the risk and probable outcome is a lifetime of immune mediated disorders. Instead, I prefer to focus on building natural, dynamic immunity in your pet, starting before they are ever conceived with the health of the sire and dam. Then continuing on with the puppies, weaning them at the appropriate time to the natural Prey Model Raw diet, boosting the immune system with Homotonic Nosodes and slowly building immunity through exposure in ever widening circles of exposure to their environment- as is done in nature. If you have an older dog that has been vaccinated previously, I would recommend you read this article By Dr Ronald Schultz about Duration of Immunity and consider doing Titer testing before you re-vaccinate. Even with the above statement of risk, Dr Dodds promotes a modified minimal vaccine schedule for those who absolutely insist upon vaccinating. By posting this, I am not condoning vaccinating but I feel that this information must be posted for those not ready to embrace the complete philosophy of Natural Rearing. Vaccinating Dogs: 10 Steps to Eliminating Unnecessary Shots "When vaccinating our dogs, most of us rely on our vets, trusting that their advice is up-to-date and not biased by economic or political concerns. Unfortunately, unless vets stay current on veterinary journal reading (no easy task) … and actually assimilate new findings … and decide to forgo significant vaccination income, their advice may lag well behind many years behind what experts now advocate. Vaccination is a serious medical procedure with the potential for adversely affecting health, both in the short and long term. Experts now advise us to vaccinate each dog according to his or her individual needs. But how do you cut back without endangering your dog’s health? Here are 10 ways to eliminate unnecessary shots while actually improving pet health." Read on at no-unnecessary-dog-shots. Keep in mind that the vet can not force you to do anything! You are the owner of the dog and the person paying the bill. You are always free to say that you are going to consult another vet/Naturopath/etc before you decide whether to give a vaccine. If you decide not to vaccinate, or to do only what is required by law, make sure they understand your stance and mark the chart in multiple places, it is also a good idea to put a note on your dogs's collar (especially if he is staying overnight) that "No Vaccines" are to be given. Always make sure your dog stays within your sight because sadly I have heard too many stories of vets taking a dog in the back to do a procedure and vaccinating the dog without the owners permission, then the owners found out because the charge was on the itemized bill! When you purchase a puppy from Nature's Way Carolina Dogs I am here to mentor you for the life of your puppy, to help you learn as you start or continue on this journey with your best friend! I want all our puppies and dogs to thrive for their entire long life and I want like minded families that fully understand at least the basics of Natural Rearing Philosophies for each of our puppies!